When you come to Malta for the first time, there are some crazy situations which are part of the culture and everyday life that anyone who has experienced could have noted and have a good laugh about it. 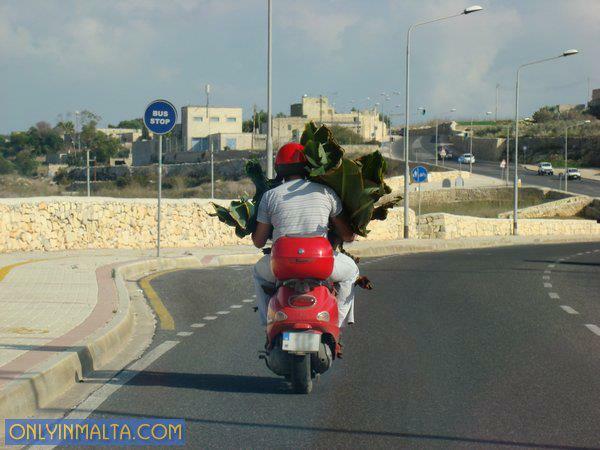 Indeed, Malta is like this, you either love it or hate it. The European archipelago located in the south of the Mediterranean Sea offers a unique and outlandish environment which is worth visiting, especially in summer. Below is a warning of what you can find. Here is the list of 25 nice things that you can only understand if you came to Malta. 1) When the bus driver refuses to let you board shouting “FULL UP” and leaves you in the middle of nowhere. 2) The pastizzi seems to be the greatest invention against hangovers. Only after gulping down 3 in a row, you understand that it is not. 3) Your hear the word “Mela” in every mouth and you don’t understand what it means. Then you ask for the meaning but after the hundredth unclear answer, you understand there is no real meaning. 4) The word Paceville turns up the mood. Pronouncing it is enough to wake everyone up and become proactive. 5) The timetables of the bus are only suggestions. It is still a mystery how to read those grids with numbers at each stop of the bus. 6) The bus driver smokes and talks on the phone… while driving. 7) When you see a bicycle with a weird motor on it, don’t worry! Those Rota Mutur, as called by the local people, are normal means of transportation. 8) The summer is so hot that you can’t wait until next winter. The winter is so cold that you can’t wait until next summer. 10) Your perception of distance becomes relative. A kilometer worth ten. 11) During summer, the fan becomes your best friend. 12) You can do your grocery shopping at 11 p.m., cause you’ll always find a mini market open and that’s great! 13) You have hardly got off at Sliema ferries when you hear a hum of voices that offer you trips to Gozo or Comino. You know, these guys saying “Gozo Comino Blue lagoon“… in loop. 14) You still don’t have figure out why in Malta the main dishes are more with meat than fish despite being an island. 15) When you realize that there are so many beaches around you, and you don’t know which one to choose. 16) You ask for information to a Maltese person and, even if he doesn’t speak a word of your language, he tries to help you in every possible and imaginable way. You feel like at home! 17) Fruits cost less and taste better from the trucks you find on every street corner. 18) For some strange reason, strawberries taste better in Mgarr. 19) You buy individual cigarettes. 1 = 0,30 €. 20) Tequila at 1 euro at Coconut. 21) You see cats, everywhere. 22) You are in the overcrowded bus and you cannot move a millimeter; despite this, the driver screams at you “MOVE BACK”. 23) You have already taken, at least once, while drunk, the red minivan that brought you home safe and sound. 24) You would eat ftira for breakfast, morning snack, lunch, afternoon snack, dinner, after-dinner and dessert. 25) You miss your country, at least a bit. After this you must also read 25 reasons why you should not visit Malta and 25 THINGS YOU CAN ONLY UNDERSTAND IF YOU WENT TO ISTANBUL. I was born and raised in malta and I agree to all of this! Some maltese people can take their culture a bit too seriously and take offence in posts like this but it’s true, they can’t deny it. Bus drivers are jerks in malta. Yours is a great post. Very funny and very true. I get the irony at least. I was brought up in Malta. My mum’s Maltese and I have close family over there still. They all also think it’s hilarious. thanks for reading. I am from Italy but I am currently living in Malta and I really enjoy! I am really sorry that you didn`t understand the irony in the post. Please read this maybe you can understand better the aim of these posts.